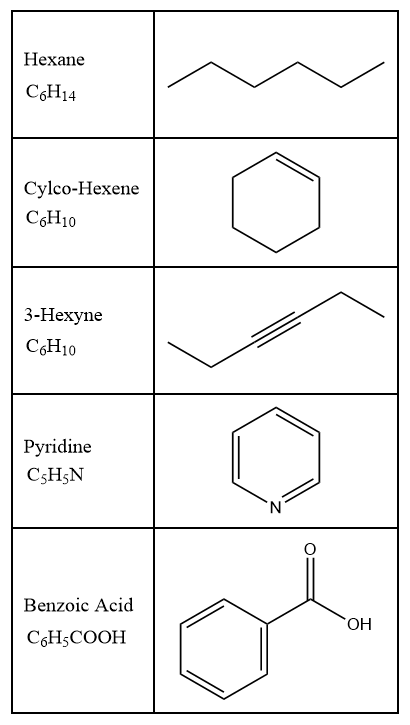 The bond-line structure is a simplified and common drawing style for organic compounds. In this style, all carbon atoms and most hydrogen atoms are implied and not drawn explicitly. To understand the bond-line system, we must know that each corner/endpoint of the bond-line represents a carbon atom and are thus not shown. Hydrogen atoms bonded to carbon are also not shown in the structure since it is assumed that each carbon atom will possess enough hydrogen atoms so as to achieve a total of four bonds. The lines are drawn in a zig-zag manner with an exception of triple bonds that are drawn in a linear manner. This is because triple bonds involve sp-hybridized carbon atoms, which has a linear geometry.